Online Application Details for Air India Limited Air India Recruitment of 22 Consultant and 6 QMS Officer is given below. 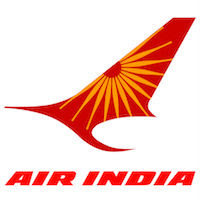 Application form and duly attested documents are to be sent to General Manager-Personnel, Air India Limited: Western Region, Recruitment Section, 3rd Floor, Canteen Annexe Bldg., Old Airport, Kalina, Santa Cruz East, Mumbai 400029. In envelope super scribed with 'Application for the Post of Post Name'.